Who are the visual artists creating India's incredible music album art? Who are the visual artists creating India’s incredible music album art? Pink Floyd’s iconic ‘Dark Side Of The Moon’, The Beatles’ Sgt. Pepper’s Lonely Hearts Club Band, Nirvana’s ‘Nevermind’- there’s no denying the power of a great album cover. 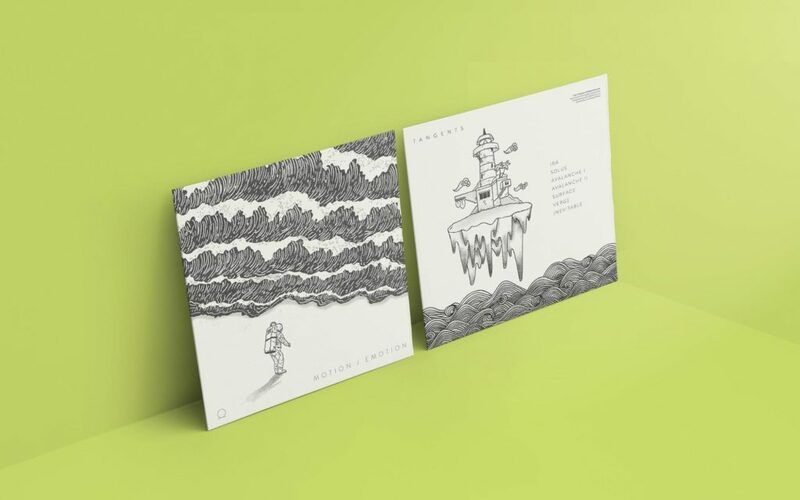 Album art is a visual manifestation of the very songs it encapsulates; the imagery, often as cutting-edge, strange, weird and wonderful as the music itself and the band that created it. Delhi-based Reuben Bhattacharya describes his style – rooted in different kinds of art – as ‘contemporary Heavy Metal Art’. And it’s an apt description given that Reuben has created artwork for plenty of metal bands, including Textures and Slipknot. “The album art not only had to be true to the identity of ‘Dashavatar’ (10 songs describing 10 avatars of Vishnu) but also had be accurate in mythological aspects and retain the ‘demonic’ element of the band. I wanted to balance these extreme points and reinvent the idea in a visual manner that the metalheads could relate to. Follow Reuben Bhattacharya’s work on Facebook and Instagram. Sanjana and Sachin Bhatt, siblings and talented musicians and designers, comprise half of Blankfound, a collective of artists from Bangalore. “[It’s] our way of giving back to the independent music community,” they explain. 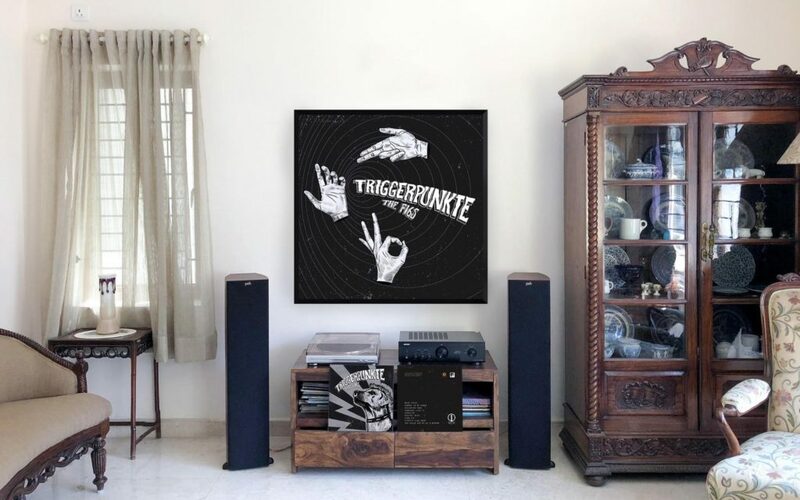 Blankfound has created album art for Indian indie bands The F16s and Black Letters amongst others. “The F16s and us go way back. We love their music (even the old unreleased stuff) and they love our art. Saloni Sinha depicts imaginative and alternate worlds in a style that’s dreamy, whimsical, and simply gorgeous. “I tend to draw inspiration from nature, things and people around me, and outer space. And then I amalgamate different things for a new shape and vision,” she explains. “I connected well with Vishal J Singh (the founding member of the band) and we had a long discussion, initially speaking about how we’ve all grown up spiritually, and then onto addressing the control of a subconscious mind and offering a fresh and new perspective on things. The upcoming album is a multi-genre masterpiece, which has a range of sounds and hence, the new art style. 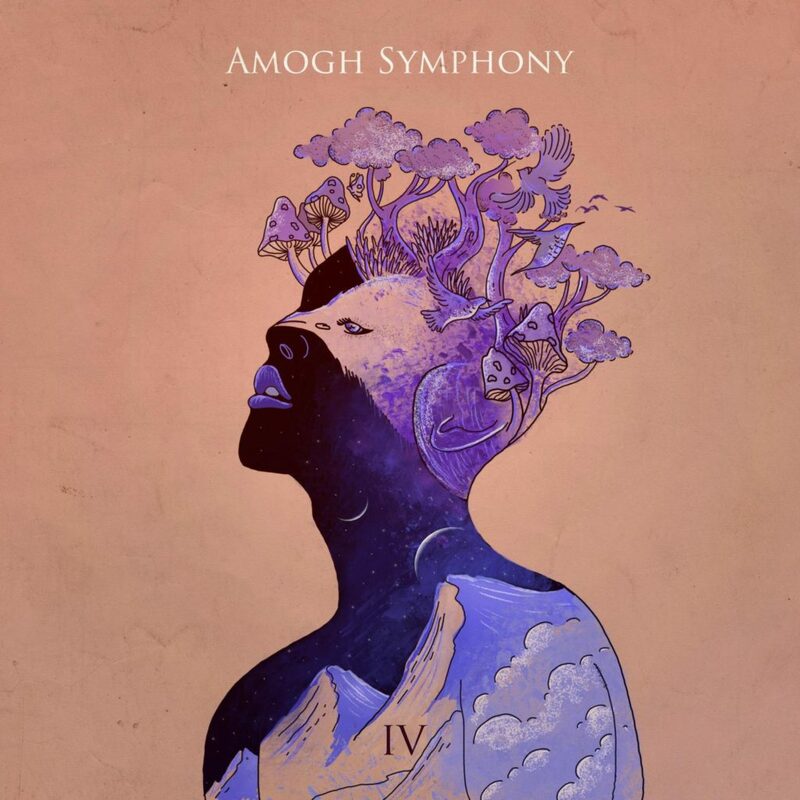 The album art was conceptualised with this different take, and portrays life, nature and freedom metaphorically. Check out Saloni Sinha’s work here. It’s surprising to learn that Bangalore-based Anoop K Bhat has not had any formal training in illustration or art given his eloquent use of simple black lines in his work. “Anirudh (Cinema of Excess) got in touch with me in March last year. I think he’d seen some of my work and asked me if I’d be available to draw some art for him. He sent me stuff over e-mail and I instantly took a liking to what I heard, it had certain honesty to it which really drew me to it. I think that’s when I became obsessed over how we were to go about packaging the release. I didn’t want an ordinary jewel case with a little foldout stuck inside; it just didn’t convey the vibe, the warmth and the honesty. Anirudh would always speak to me about his studio, where the band jammed, wrote most of the music and hung out. That’s pretty much what shaped the concept for the art. The dense foliage at the back is meant to represent the ‘excess’; the excess of media, excess of ideas, excess of music, an excess of whatever you want it to be – through which the three bees discover something special and decide to extract the most of it. And the flowers on the cover are actually from Anirudh’s backyard, the spread at the back is a tip to this creeper at the studio – the album is full of stuff like that. believe hasn’t been done before by an Indian band). It really conveyed the warmth of the music. 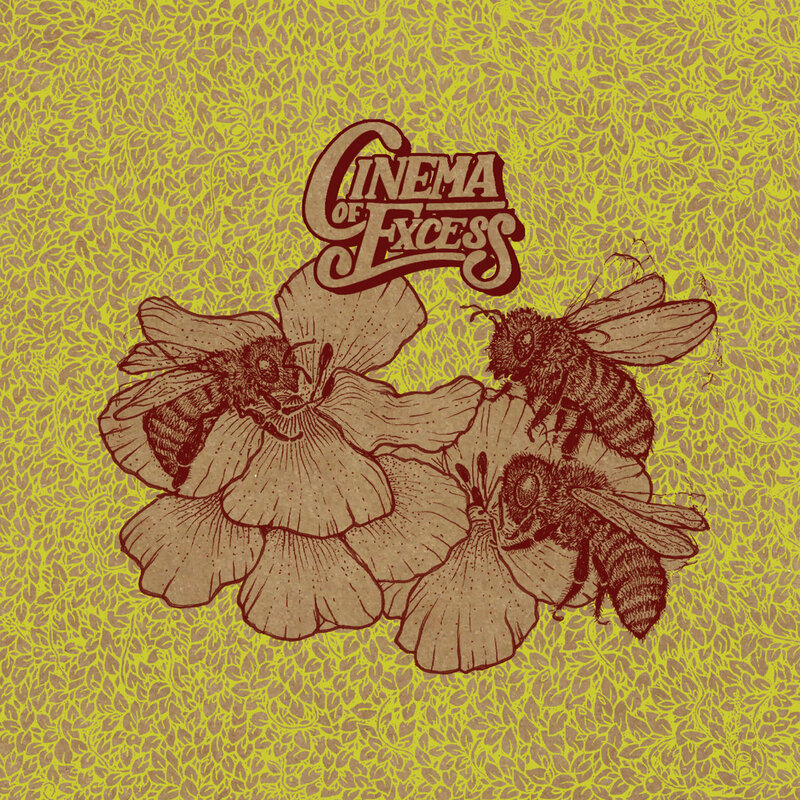 Find the Cinema of Excess Bandcamp page here. Check out more of Anoop K Bhat’s illustrations and designs here. Did we miss out on your favourite Indian music album art? Let us know in the comments below!